The Ithaca Farmer's Market is one of those places that contains all the vibrant life of a region. Farmers arrange their vegetables alongside locally made goods; woodworkers set up next to florists. There's Cuban and Cambodian food, freshly baked bread and pastries, and wine made nearby. 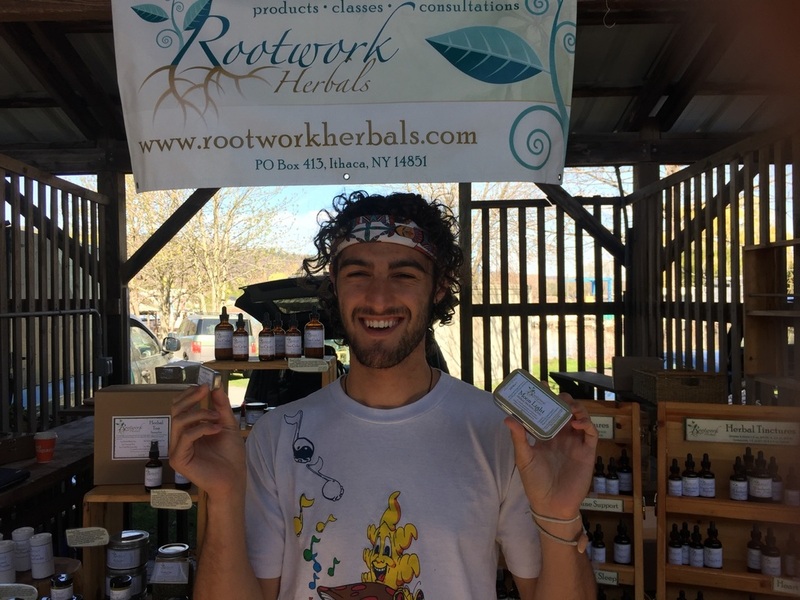 One of the stands is home to Rootwork Herbals. After speaking with its founder, Amanda David, about her business, I brought up One Large. She told me she'd look up the project when she had the chance. I bought lip balm and a potpourri of herbs.